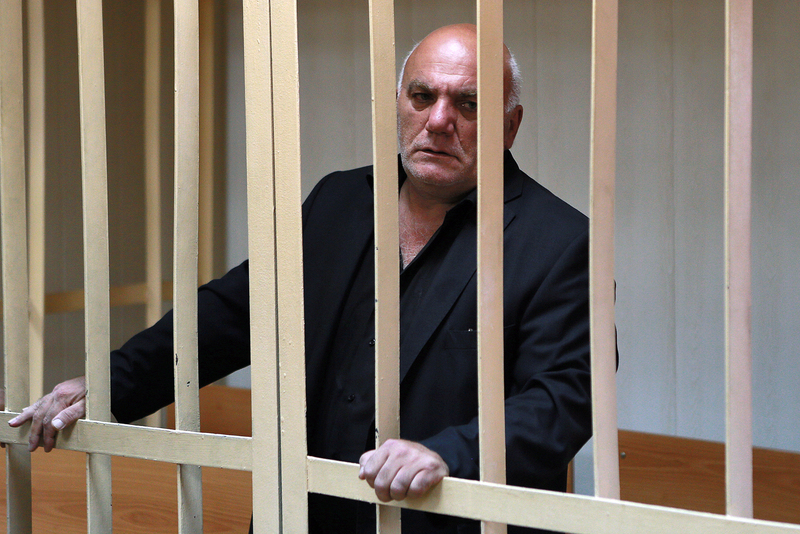 Aram Petrosyan could face a sentence ranging from 6 to 15 years behind bars. Moscow’s Presnensky district court has arrested Aram Petrosyan, a businessman who seized a bank in the city center, until Oct. 24. Petrosyan’s defense lawyers had asked the court to choose a milder pre-trial restriction. Petrosyan called on the court not to arrest him saying his mother was ill and he had to take care of her. The businessman also threatened to go on a dry hunger strike. His lawyer has announced plans to appeal against the court’s decision. On Aug. 26, Petrosyan was charged with hostage-taking in respect of two or more persons with the use of an object as a weapon. If found guilty, Petrosyan could face a sentence ranging from 6 to 15 years behind bars. Late on August 24, the 55-year-old broke businessman from the Moscow region seized a Citibank office in downtown Moscow. Petrosyan had a box wrapped in yellow tape that he claimed was an explosive device and threatened to blow up the office. The hostage taker demanded that the current law on personal bankruptcy be canceled and that "a personal bankruptcy institution" be established to address the problems of bankrupt businessmen. By 10.00 p.m. Moscow time, Petrosyan freed all hostages and surrendered to police. Law enforcers said the perpetrator had no real explosive device. Investigators say the motive for the crime was that the man had been in a serious financial hot water.